These days, though, “cool” and “expensive” absolutely do not have to go hand in hand. To prove this, Kelley Blue Book recently came out with a list of the “10 Coolest Cars Under $18,000,” proving that there are brand new automobiles that can provide a whole lot of appeal for not a whole lot of money. While we think that all the Honda cars sold here at Pacific Honda are both cool and reasonably-priced, Kelley Blue Book gave special attention to the 2016 Honda Fit as an affordable cool car, and there’s not much we can do to argue with that. 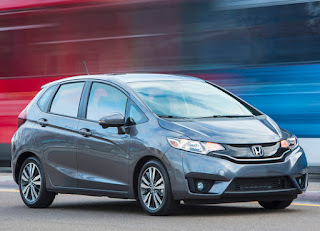 According to KBB.com, the Fit is “a class leader in practicality, reliability, and resale value,” and is “arguably the smartest choice you can make in the subcompact car category.” Not only does it look about as good as anything in its segment, but it also provides loads of great modern technologies and is surprisingly fun to drive. It’s small, but it really is cool and it really does come in at a price that makes sense to a lot of consumers. New vehicles are a big investment, but the Fit is just about as low-risk as they come.